Dining at Pelican Isle Yacht Club has long been a memorable experience. We take pride in introducing the delectable creations of Pelican Isle Yacht Club's Certified Executive Chef Paul Palmer. 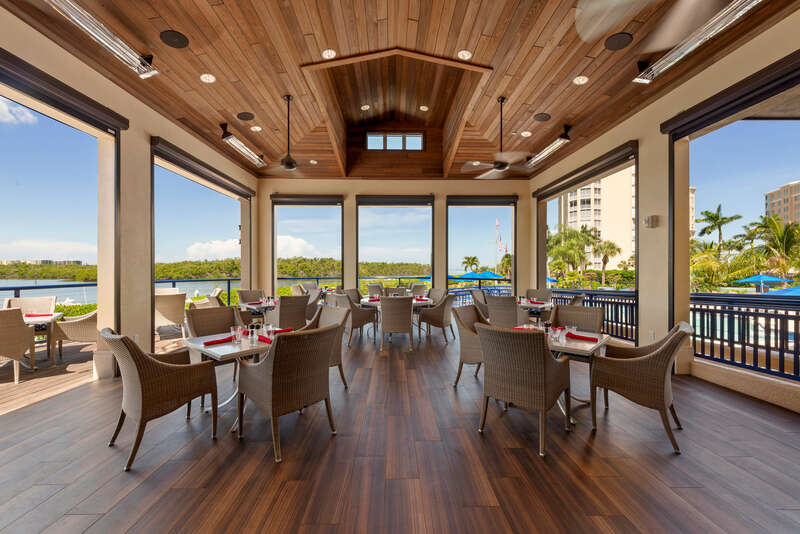 Whether in the casual bar and grill room, in the dining room or on the open terrace, members enjoy spectacular views of the water and marina, accentuated at day's end by a perfect sunset over Wiggins Pass. The service, while impeccable, is also informal and welcoming, like all aspects of our club. To learn about Special Dining and Banquet Offerings, please click here. 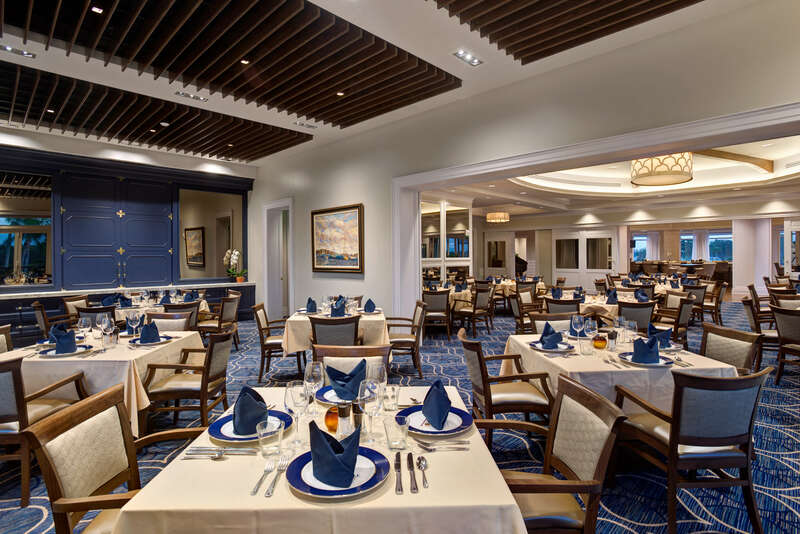 On a larger scale, our beautiful Quarterdeck Dining Room is available. This room will seat up to 100 people comfortably. For smaller parties of 10-12 people or gatherings up to 28 people, our private dining room is available. This room allows for small, intimate settings. Cocktails and hors d'oeuvres or sit-down dinners work well in this room. Our covered, outside terrace with seating up to 40 people offers a beautiful locale for cocktails and dinner, complimented many evenings by a beautiful sunset over Wiggins Pass. An ideal location for an afternoon birthday party, an early evening cocktail party or a wedding ceremony. Our beautifully landscaped pool area makes for very pleasant surroundings. The PIYC "Pelican" boat makes for the perfect Backwater Cruise setting with selections of hors 'doeuvres, desserts and beverages to take aboard! Click here for more information.